The exciting new musical Come From Away surprised audiences when it opened on Broadway in March. The moving true story of generosity at a time of worldwide trauma was something not often portrayed onstage. 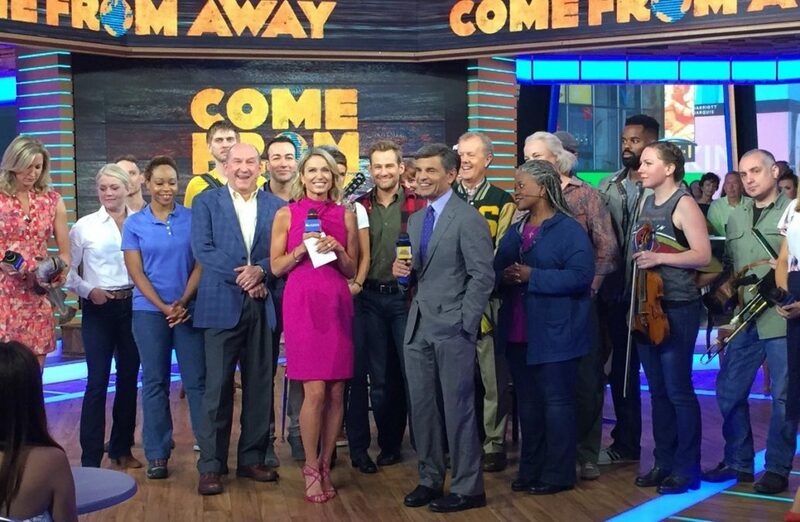 Featuring an original score by Broadway newcomers Irene Sankoff and David Hein and directed by 2017 Tony winner Christopher Ashley, Come From Away has become a bonafide Broadway success. The cast of supertalents took to the stage of Good Morning America on August 23 to give TV viewers a sample of the story they are telling eight times a week. Watch Tony nominee Jenn Colella and her fellow cast perform the lively number "Screech In" to Kelly Devine's Tony-nommed choreography, and make your way to the Schoenfeld Theatre to experience Come From Away firsthand.